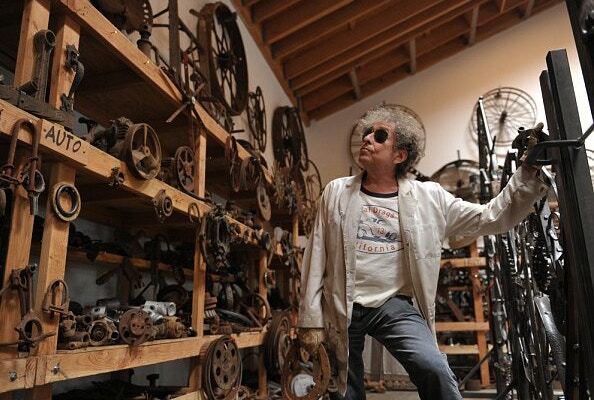 Home > Blog > Happy Birthday to Bob Dylan! Happy Birthday to Bob Dylan! "Art is the perpetual motion of illusion. The highest purpose of art is to inspire. What else can you do? What else can you do for anyone but to inspire them?" 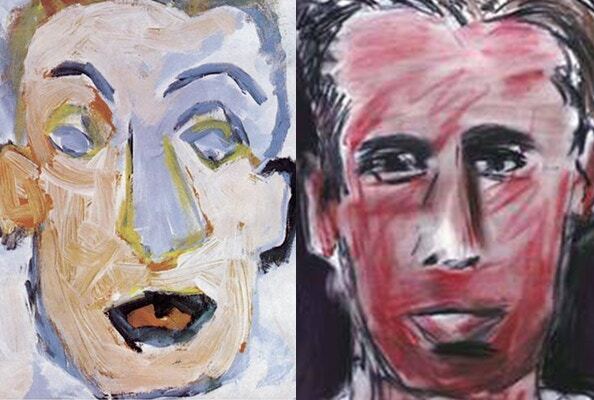 In 1994 a series of Dylan's sketches were published by Random House 'Drawn Blank', using graphite pencils in a series of sketchbooks, these drawings were created while on tour between 1989-1992 and much like Dylan's music, his artistic style expresses the essence of his subject so honestly and effortlessly. Watercolour and gouache paints might not be the materials you'd associate with the father of modern music, but this seemingly tame medium is one of Dylan's favourites. Taking inspiration from his initial sketches he then coloured multiple copies using a thick watercolour brush (sable or synthetic). Edges are clearly defined with thick black brush strokes, but these paintings are far from cartoon. Try tracing one of your favourite sketches and recreating with different colours on sheets of watercolour paper for a similar effect. "Inspiration is hard to come by. You have to take it where you find it." With a career that involved visiting every cultural hotspot on the planet, through the sixties to the modern day, Bob Dylan's connections with popular culture are limitless. Using silkscreens, Dylan experiments with magazine style works, featuring well known figures from Marilyn Monroe through to Colonel Gaddafi. Try it yourself with cuttings from a magazine and a screen printing set. To create a slicker finish, scan your work in and edit digitally. Growing up on the Mesabi Iron Range of Lake Superior, Minnesota, Dylan says he's been around iron all his life. It's unsurprising that his most recent exhibition at the Halycon Gallery was an exploration of the material. Like much of his more painterly pieces, it is easy to see the theme of graft, workmanship and really pushing a material to perform at its best. His sketches have fantastic form, the colours are bright and most certainly you can't escape the strength and scale of Dylan's iron sculptures. Feeling inspired? Stock up on your own art supplies to begin creating, try a simple watercolour set and sable brushes to start - why not take advantage of the fantastic value of Cass Art's Jumbo 50 Sheet watercolour pad, so there's no interruptions when you find yourself on a roll!